Flights to Peru from Mexico for only 121 EUR! Copa Airlines offers cheap tickets between North and South America. Flights from Mexico City to Peru (Lima) for only 121 EUR round trip! Visit Mexico and Canada in one trip from Vienna for only 459 EUR! Air Canada is offering a very good price for flights to Mexico City from Vienna. If you choose to book a flight with longer connection time in Toronto, you’ll have a chance to visit tis amazing city and maybe even take a quick trip to see Niagara Falls? 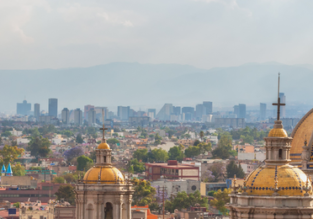 9-night stay in Mexico City for 434 EUR. Flights from München and hotel included!